Former Massachusetts Gov. 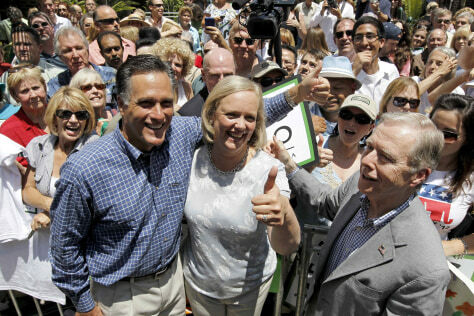 Mitt Romney, left, and former California Gov. Pete Wilson, right, campaign with Meg Whitman, a GOP California gubernatorial candidate, at a rally Saturday in Fullerton, Calif.